We were founded in September 2006. We are a modern/traditional group with 45/50 members. We are a very friendly group of ladies. Please feel free to join us as a visitor to see if you would like to become a member. Our monthly meetings consist of business section followed by a speaker, sometimes a quiz is held if no speaker. We have a regular Craft group also coffee mornings and lunch clubs are arranged. A book table is available for members, fund raisers are held occasionally. A raffle is always held at meetings. Occasional outings are arranged. Via the ESFWI Office or use the Contact Us form on this page. 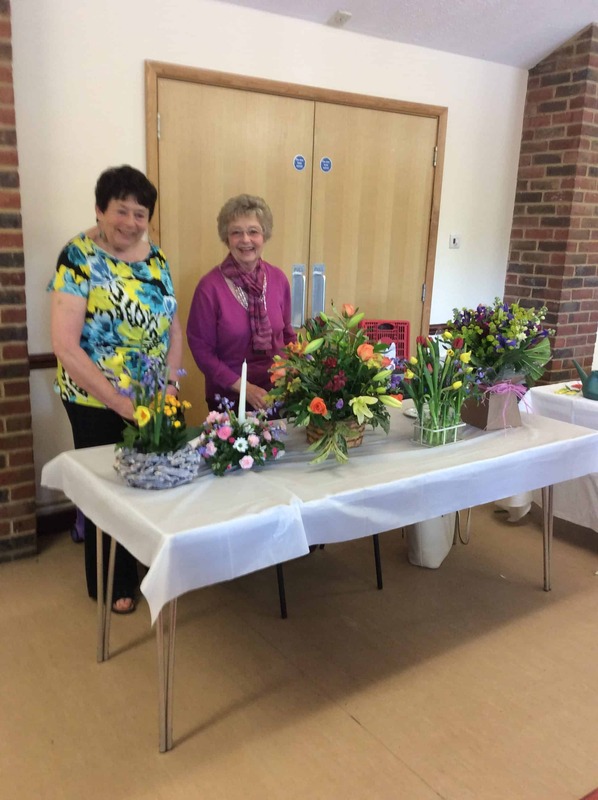 At the April meeting of Sovereign WI, members were delighted to watch a demonstration of flower arranging, with humorous comments and lots of tips, by two local sisters, Jackie and Denise. 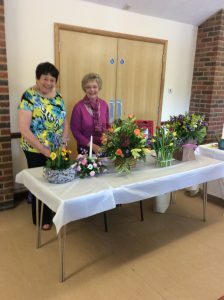 We also had the beautiful results of their work donated to the raffle.